If you’re struggling to find that special present for the one you love this Valentine’s Day, I might just have the answer with these beautiful Lovers’ Tealight Holders. Lovingly handmade in the BGO workshop, from sustainably sourced English oak. These unique little blocks of love, exclusive to BGO, are sure to touch the heart of your nearest and dearest. 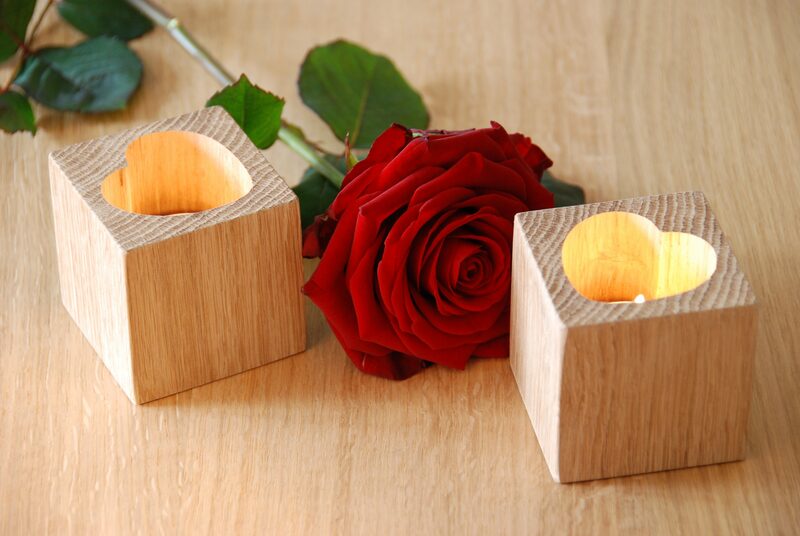 The Lovers’ Tealight Holders are available for £15 a pair (including 2 tealights and UK mainland P&P). Please contact me by email: peter@bespokegreenoak.co.uk or by phone: 07973 863 511 to order yours today. oh!!!!!! they are adorable.. so so SO sweet! They really are so LOVELY !!! !